Online verifiable CPD for dental nurses, including core topics, is available here to dentaljuce members. Dental nurses are the backbone of modern dentistry. The complexity of current systems and procedures makes effective dentistry impossible without a well trained professional nurse. In the UK this has been recognised by the General Dental Council, who created the Dental Nurse's Register. Most of the juce on this web site is useful for all the team - one can never learn too much about one's profession! But there are many pages that are especially suitable for nurses as part of their Enhanced CPD. This core CPD topic covers the core knowledge you need to understand x-rays and the dangers they have for human tissues. It details the procedures required for safe radiography, and helps you understand how to implement them. The pages include : Radiation Biology and Physics, Legal Regulations like IRR and IR(ME)R, the concepts and details of Justification and Optimisation, and Quality Control Programmes. There are extensive self-assessments, both short answer and MCQ. These pages cover the emergencies you are likely to face in the dental practice. It lets you know how to spot the at-risk patients, and how you can prevent emergencies from arising. The pages include : Emergency Drug Kit, The ABCDE Assessment, CPR, Adrenal Insufficiency, Allergies, Anaphylaxis, Angina, Asthma, Choking and Aspiration, Epileptic Seizure, Hypoglycaemia, Myocardial Infarction, Syncope (fainting), and a Patient Scenario. This core CPD topic takes you over the basics, and will give you ideas that can help your practice meet the necessary standards. 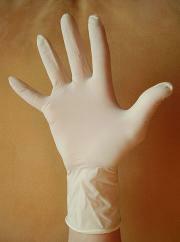 There are more advanced sections on infection control for the experienced nurse. The pages include: Infectious Agents, Bacteria, Viruses, Fungi, Prions, Vaccination, Hand Care, Hand Washing, Hands and HTM0105, Surgical Gloves, Personal Protection, PPE and HTM0105, Accident and Injury, Inoculation Injury, Splatter and Aerosol, Single Use Items, Instrument Cleaning, Ultrasonic Baths, Manual Cleaning, Disinfection, Autoclaves, Storage, and self assessments. This juce lets you know how to guarantee that every alginate mix you do is perfect every time, by attention to the small details that make a big difference. The pages include: What is Alginate?, Alginate Ingredients, Preparing the Tray, A Clean Mouth, The Container Tub, The Alginate Scoop, The Water Measure, Mixing and Working Time, Mixture Consistency, Loading The Tray, and Trimming and Storage. 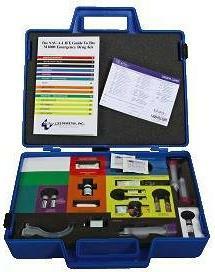 Ideal for the nurse who is training, and for giving a close up view of different types of restorations. 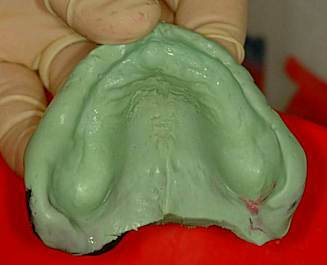 There are sections on naming restorations, drawing restorations, and four clinical cases for you to chart. Clinical governance is not just doing your job well, it is being able to prove it, through documentation. This module guides you through the essentials of governance so you can help your practice meet its statutory requirements. The pages include: Finding out about current good practice, Evidence-based Dentistry, Quality Improvement, Risk Management, The Near Miss, Performance Monitoring, Team Training, and Complaints Management. Nurses have a big role to play in designing and conducting an audit - especially with the practical points of how to fit it into a busy day. The juce here explains exactly what a clinical audit is, and takes you through an online radiograph audit. The step by step guides to dozens of procedures will be invaluable for learning the details of each technique, and helping to advise your dentist about the latest ways of doing things well. Much of the info is on details of technique, making these suitable for the more experienced nurse.